Based on the label I would date this to 1973 but it may exist with other labels and in different insert/cover variations. 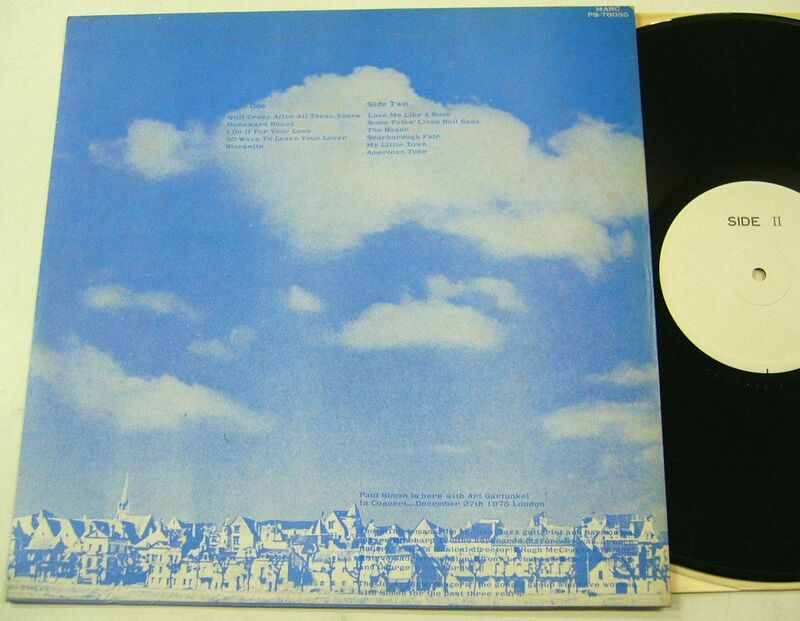 I could not list this one when I tried to cover all of the Contraband releases, as it’s one of the rarer ones and I only had a small image of it taken from a sales list of the Warehouse record store in Tokyo (now closed in that location). This is mostly a pirate release. 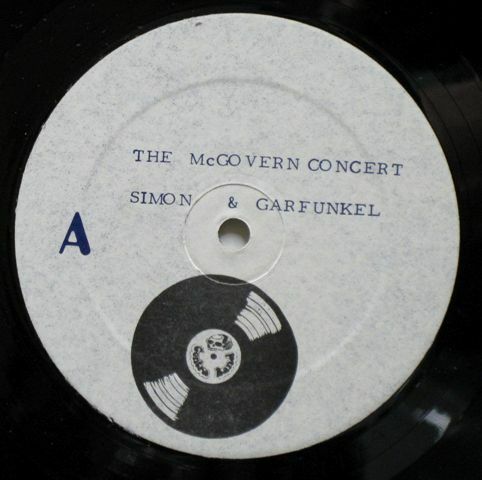 The first 10 tracks were supposedly recorded by Simon & Garfunkel in the second half of the 1950’s when they called themselves Tom & Jerry. I looked hard and was only able to confirm three of the titles on compilations released decades later. The tracks marked ‘* ‘ were taken from their appearances on the Smothers Brothers Comedy Hour TV show in 1967 (in season 1, episode 14 – taped in May – and season two, episode 107, taped in October ’67). 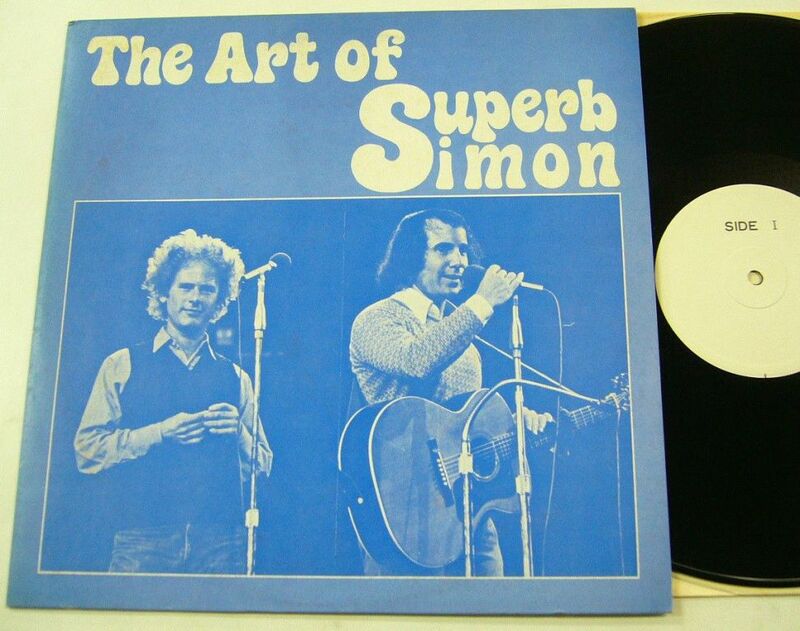 Was anyone buying this LP and hoping for an audio witness of a rare Simon & Garfunkel mini-reunion on a London concert stage disappointed when listening to this? 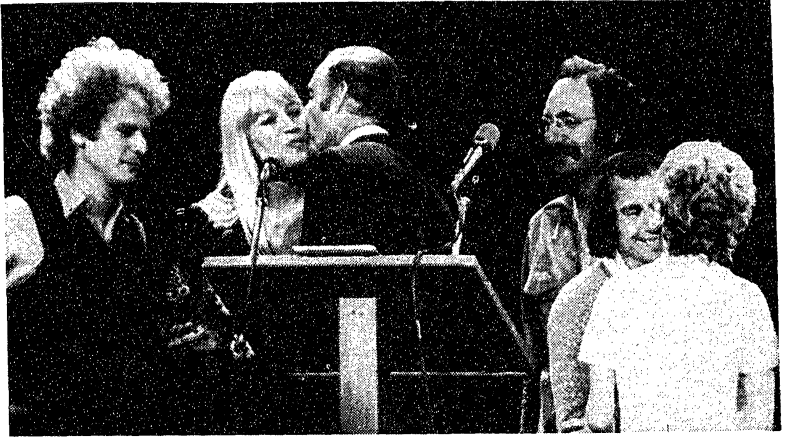 … In December of 1975, while on tour in Europe, Paul Simon recorded a live TV special in a BBC studio (not on the 27th and not at the Palladium). 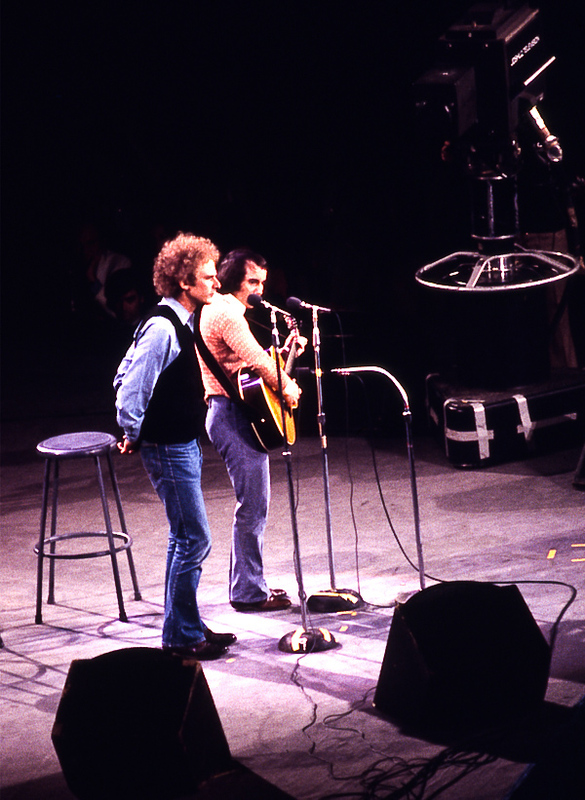 As part of the finished program, two clips from Simon & Garfunkel’s appearance on Saturday Night Live from 18 October ’75 were edited in: “The Boxer” and “Scarborough Fair”. 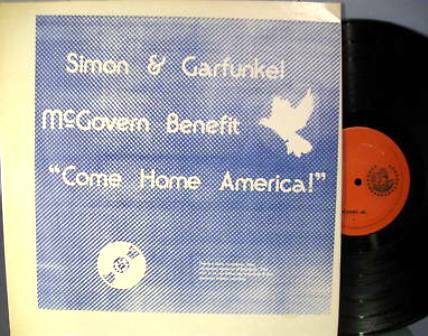 As the YouTube videos show, this special was also broadcast in Japan (were Simon had toured as early as April 1974) . This is the soundtrack of that TV special. 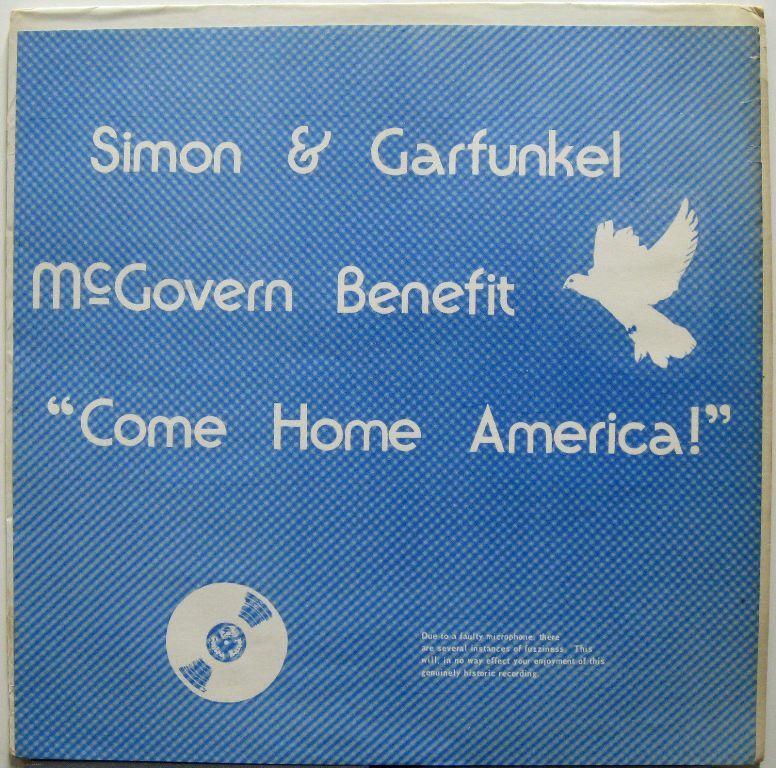 After separating in 1970 – pretty much at the top of their commercial success – Simon & Garfunkel had their first reunion at this benefit for presidential candidate George McGovern, who unfortunately did not win, prolonging the Viet Nam War and leading to Watergate and president Nixon’s resignation in 1974, the erosion of trust in US politics, etc. … but that’s another story.